Fire up the grill! 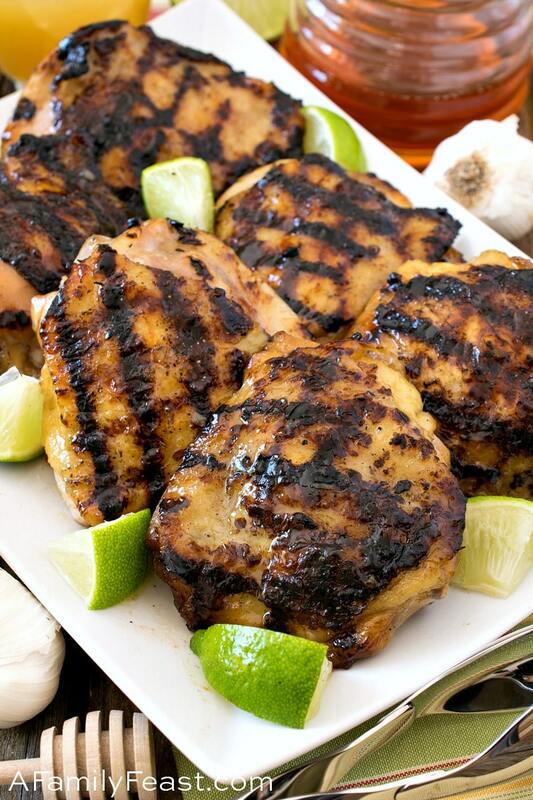 You are going to love this easy grilled chicken recipe! 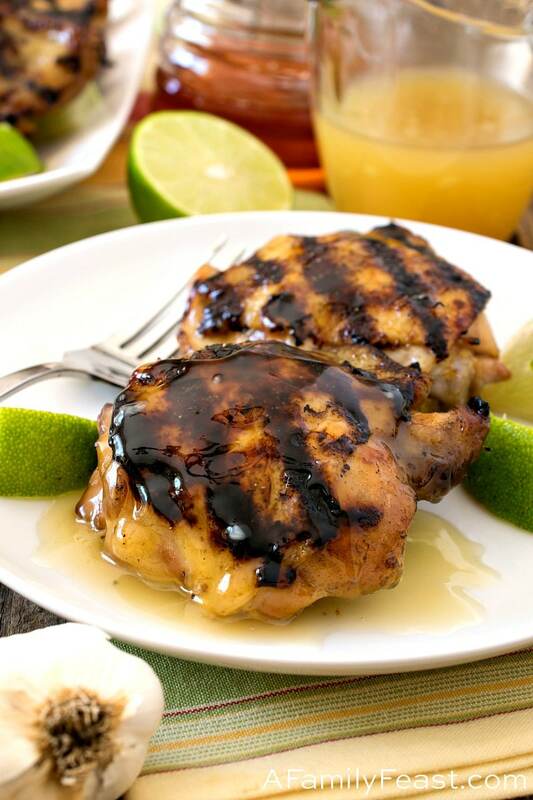 Our Grilled Honey Lime Chicken is tender and juicy with the most delicious honey lime glaze. 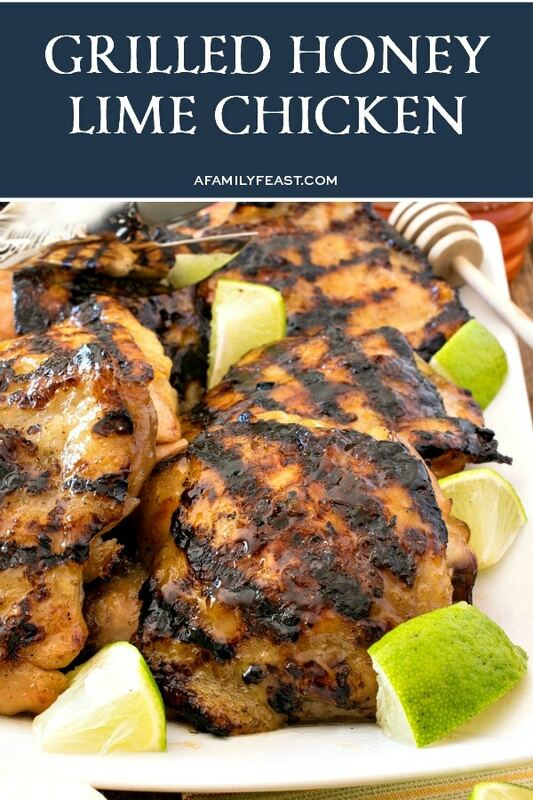 We’ve had a hint of true Spring-like temperatures this past week—so we immediately fired up the grill and made this fantastic Grilled Honey Lime Chicken. 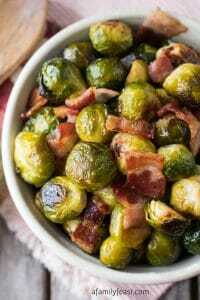 The inspiration for this recipe came from Debi, the office manager at our chiropractor’s office. 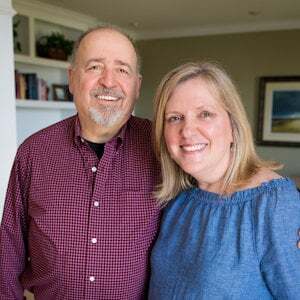 Jack and Debi were talking about how they both loved the fresh meats from the butcher (mentioned in this recipe) next door, and that started them on swapping different recipes. 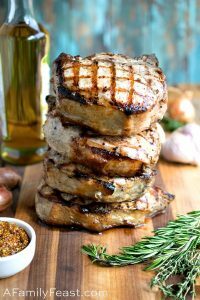 Debi mentioned a honey-lime-garlic pork tenderloin recipe she makes—and that flavor combination inspired Jack to make this Grilled Honey Lime Chicken. 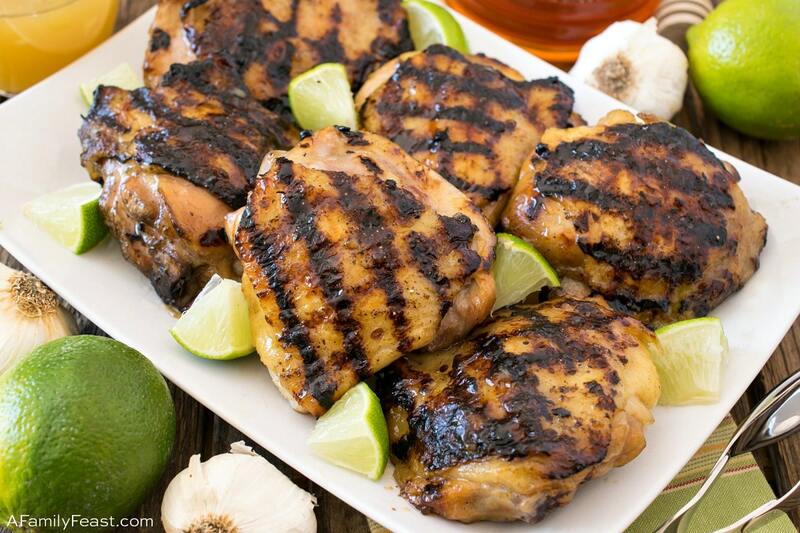 How do you make Grilled Honey Lime Chicken? You’ll start out by combining minced fresh garlic, lime juice and honey. Half of that mixture is used to marinate bone-in, skin-on chicken thighs overnight, while the other half is set aside and cooked down and thickened to create a luscious sauce. 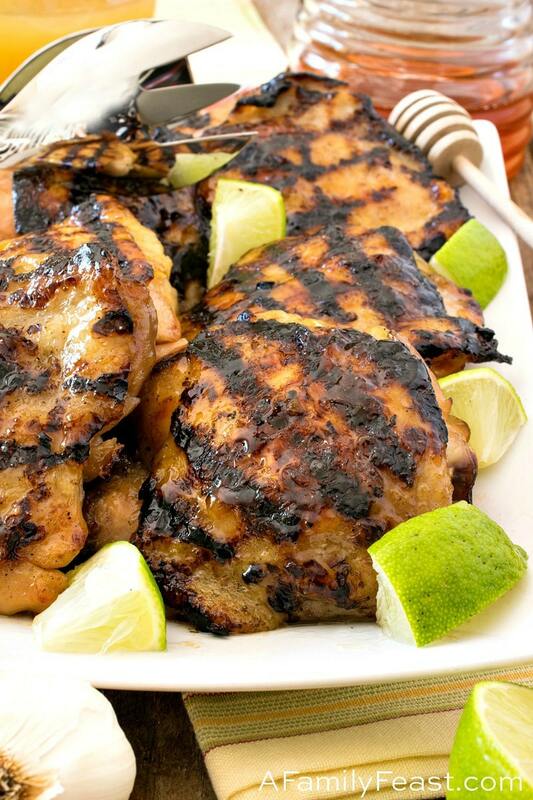 Once the chicken has marinated, simply grill the chicken and serve with that incredible honey lime sauce on the side. 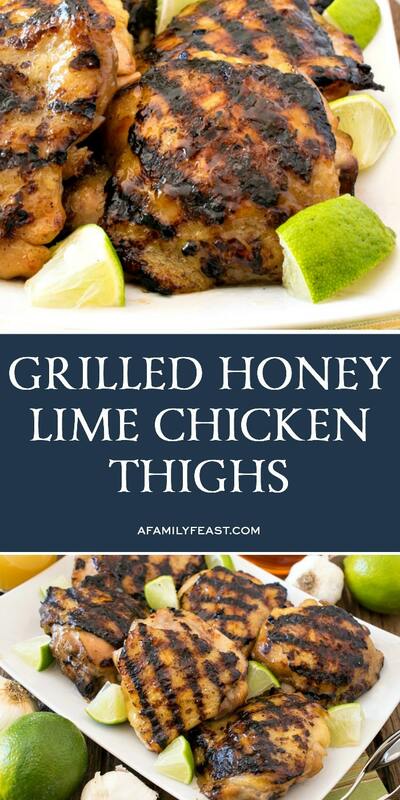 A few squeezes of fresh lime juice also adds great flavor to this simple, delicious Grilled Honey Lime Chicken. 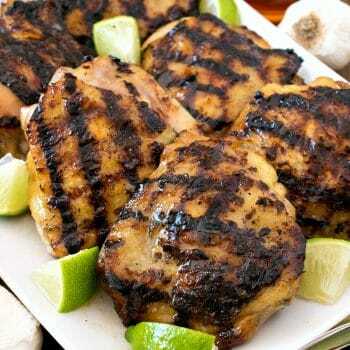 The flavors in this Grilled Honey Lime Chicken are sweet and citrusy with a garlicy undertone that perfectly complements the juicy grilled chicken. In a medium sauce pan, heat oil over medium heat and add the garlic and cook for three minutes. Whisk in lime juice, honey and salt and cook just to dissolve honey. 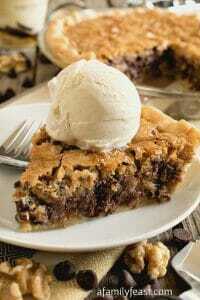 Pour out half of the mixture and set aside. Once the other half is cool to room temperature, place chicken in a gallon zip lock bag and add the marinade and marinate 12 hours or overnight. 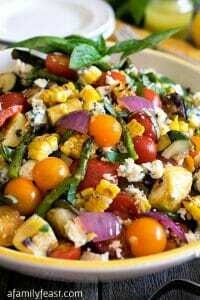 Take the half you set aside and pour back into the pan, reserving a few tablespoons full in a small bowl. Add the corn starch to the small bowl and stir then add to the sauce pan and heat over medium until thick. Refrigerate until after grilling. You will use this to glaze the chicken after grilling and to serve on the side. When ready to grill, discard marinade and pat the chicken dry, then coat with the oil. Salt and pepper all around the meat. Heat the grill to medium on one side and low on the other. Because skin in chicken thighs is fatty and because honey burns, you need to sear these on medium to get char marks but not at a high temperature and not for a long period. The skin will burn quickly. Brush the grill grates with more oil and place the chicken on once hot, skin side down. Cook for 30-60 seconds to sear, turn a quarter turn and sear again so the skin gets cross hatch marks. Flip skin side up and cook for two more minutes then move to an upper rack or to the cool side of your grill, skin side up and cook with the lid closed until the internal temperature is at 155 degrees F*. About 10-20 minutes depending on the size of the chicken thighs. Immediately brush with some of the thickened sauce once you remove the cooked chicken from the grill. 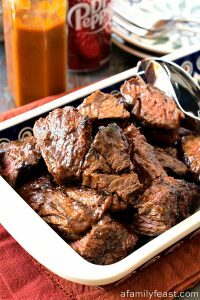 Remove to a platter, cover loosely with foil and let rest 5-10 minutes. *The internal temperature of the chicken will rise to a safe 165 degrees F.
Serve lime wedges and the thickened sauce on the side. 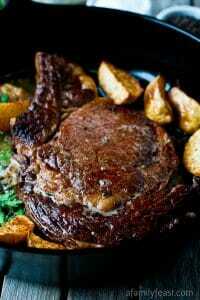 *When probing the chicken, come in from the end and on the side of the bone with the most meat. Try to get it center and not touching the bone. 155-160 degrees F is ideal and it should rise to 165 degrees F which is the recommended temperature to serve cooked chicken. 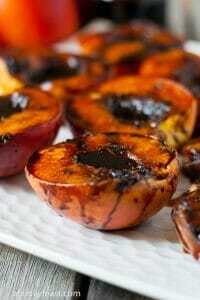 I can’t wait to try this when we finally fire up the grill~ still fighting the last snow! I planted a ton of garlic in the fall and it looks like we’ll have a bumper crop to eat soon! And crazy at it sounds, I have some fresh limes that I managed to grow inside this past winter. Just lucky this year! My kids are going to love this, too! Big chicken eaters!!! Thanks for sharing! Live in an apartment building, and outdoor grills are not permitted. 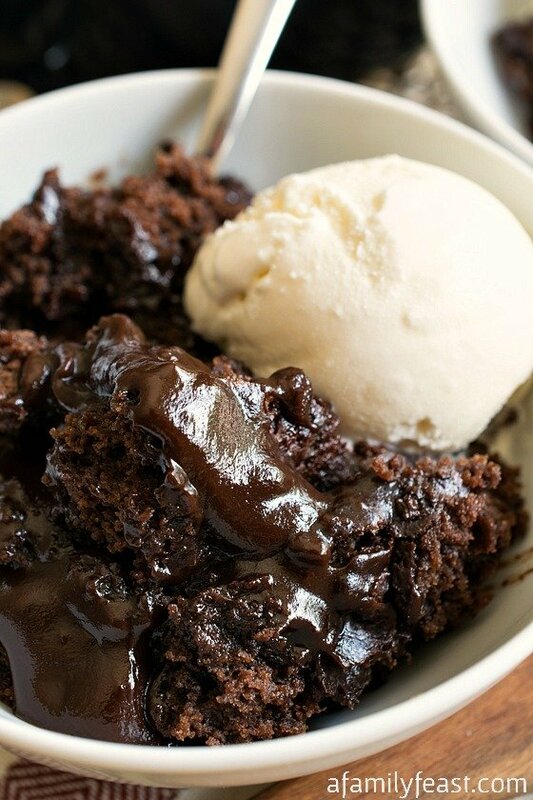 Since I don’t have an indoor grill option, have you a suggestion for over baking. Thank you! Hi Susan – Apologies for the delay in responding. You can bake the thighs (375 degrees F for around 30 minutes to so depending on their size) – you could broil them on low for just a couple of minutes to crisp up the skin too. Hope that helps!